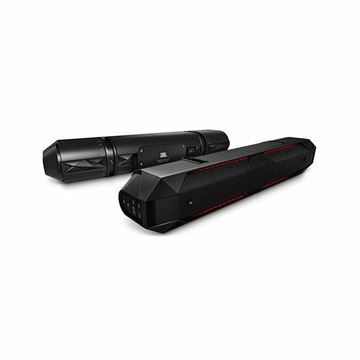 Waterproof for extreme environments (IPx6), JBL’s new Stadium UB4100 amplified marine and powersports sound bar delivers 100dB of clear, high-fidelity sound, without the noise and distortion common with lesser stereo systems. It’s available in both an active and passive version, JBLUB4100 and JBLUB4000, respectively. 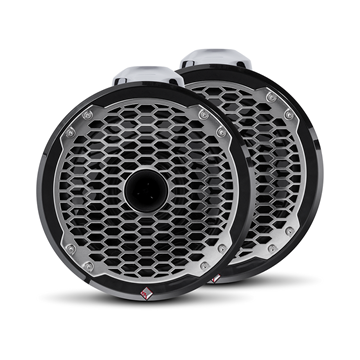 M10W5-CG-TB M-Series 10-inch Marine Subwoofer Driver for Enclosed Use (250 W, 4 Ω) - Titanium Classic Grille With appropriate system setup, the addition of a subwoofer allows your smaller main speakers to be free of the burden of reproducing low frequencies. This allows your whole system to play louder and to sound cleaner at all listening levels. Purpose-engineered and built for real marine duty, the M10W5 subwoofers are designed to operate in a compact sealed enclosure. 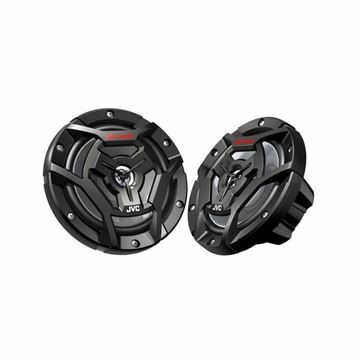 Long excursion capability and rugged suspension systems help produce deep, powerful bass response that will transform your boat's audio system. The M10W5 is best used with amplifier power in the 75W - 250W range and is optimized to operate in a compact 0.875 cu. ft. (24.8 l) sealed enclosure, or a 1.25 cu. ft. (35.4 l) ported enclosure. Detailed enclosure recommendations can be found in the "Specifications" tab. If you need a subwoofer driver that operates without a dedicated enclosure, select one of our Infinite Baffle Subwoofer Drivers instead. 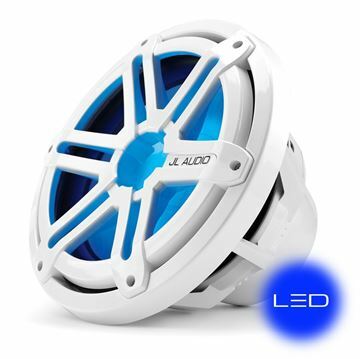 Like all JL Audio marine speakers, this driver is built to withstand a real saltwater marine environment and deliver years of listening enjoyment. The PMX-3 compact digital media receiver, designed for marine and motorsports applications, features a 2.7"full color TFT display for optimum viewing even in full sun that is optically wet bonded to prevent any dust or moisture penetration. The PMX-3 is IPX6 rated and uses a water resistant rotary encoder knob with white LED button illumination and front mounted sub level controls. 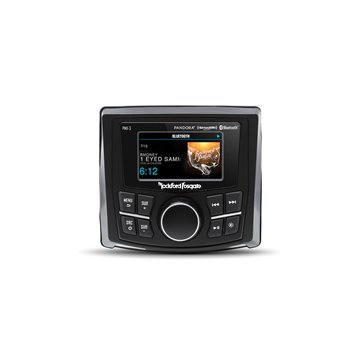 Additionally, with features such SiriusXM tuner compatibility, Pandora control capabilities and Bluetooth audio steaming with album art support for Apple and Android products, this unit becomes a true command center of any system. Output flexibility comes with a 4x50 @ 2ohm internal amplifier or front and rear/sub output RCA's allowing the addition of aftermarket amplifiers for more power and output. 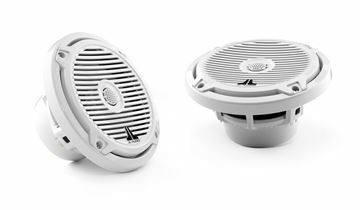 The PM2652 6.5" Element Ready speaker features a 1" coated aluminum dome tweeter that is bridge mounted over a mineral filled, polypropylene cone midrange with integrated UV inhibitors. The cone is attached to the Centrex® Plastic injection molded frame by a Thermo-Plastic Elastomer (TPE) surround and moisture, tear and fatigue resistant Aramid fiber spider assembly. This is driven by our matched motor magenetics structure with integrated aluminum heat sinking shorting ring for maximum excursion and output. 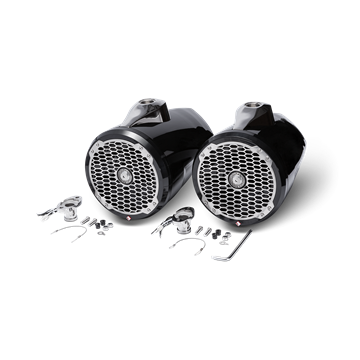 Additionally, the speaker features fully insulated flex lead wires, corrosion resistant gold plated speaker terminals with integrated expansion connections for our PM2T-S tweeter kit and a fully sealed 12dB/ Octave crossover. The entire system is topped off with an 18 gauge stainless steel and Centrex® plastic grill assembly using stainless steel hardware. 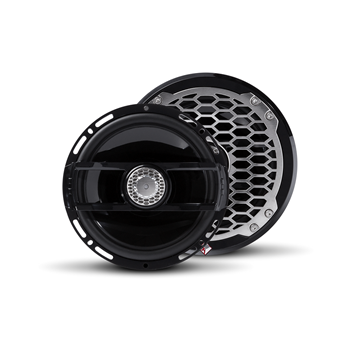 The PM2652B 6.5" Element Ready speaker is the perfect choice for your ride whether hitting the lake or the trails. 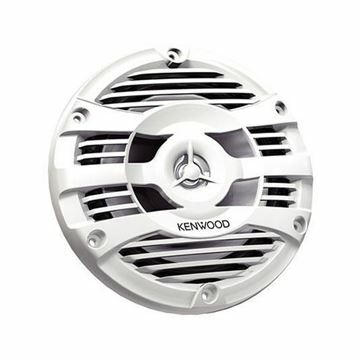 This marine grade speaker features a 1" aluminum dome tweeter designed for high output and sonic clarity and is coated to protect it against the elements and UV radiation, preventing it breaking down over time. 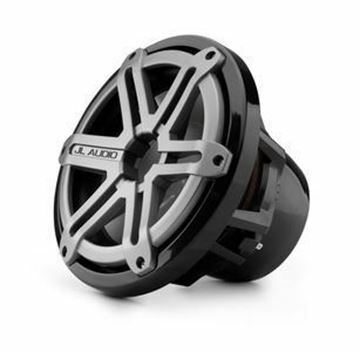 The tweeter is bridge mounted over the midrange cone giving the speaker a component quality sound and allowing for a full cone midrange driver. The midrange is made of a mineral filled, injection molded polypropylene material and features integrated UV inhibitors protecting it from sun exposure.This is attached to the UV stable, Centrex® plastic, injection molded frame assembly by a Thermo-Plastic Elastomer (TPE) surround designed for maximum cone control and excursion. It too has been treated for UV radiation and salt-fog resistance for maximum lifespan. 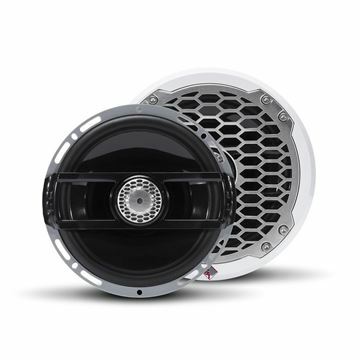 Rockford Fosgate's PM marine grade standard takes into account the devastating effects of the outdoor environment and takes extreme measures to ensure optimum performance. 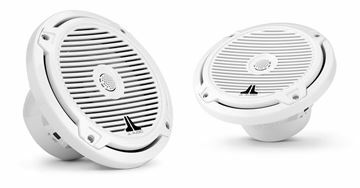 M10W5-CG-WH M-Series 10-inch Marine Subwoofer Driver for Enclosed Use (250 W, 4 Ω) - White Classic Grille With appropriate system setup, the addition of a subwoofer allows your smaller main speakers to be free of the burden of reproducing low frequencies. This allows your whole system to play louder and to sound cleaner at all listening levels. Purpose-engineered and built for real marine duty, the M10W5 subwoofers are designed to operate in a compact sealed enclosure. 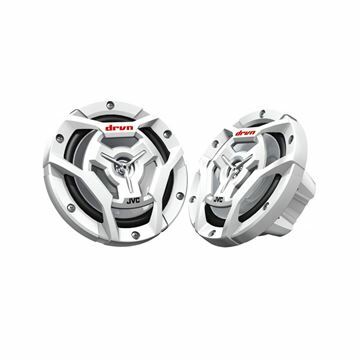 Long excursion capability and rugged suspension systems help produce deep, powerful bass response that will transform your boat's audio system. The M10W5 is best used with amplifier power in the 75W - 250W range and is optimized to operate in a compact 0.875 cu. ft. (24.8 l) sealed enclosure, or a 1.25 cu. ft. (35.4 l) ported enclosure. Detailed enclosure recommendations can be found in the "Specifications" tab. If you need a subwoofer driver that operates without a dedicated enclosure, select one of our Infinite Baffle Subwoofer Drivers instead. 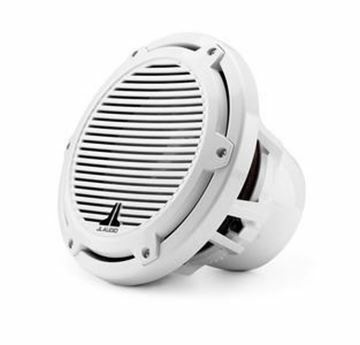 Like all JL Audio marine speakers, this driver is built to withstand a real saltwater marine environment and deliver years of listening enjoyment. M10W5-SG-TB M-Series 10-inch Marine Subwoofer Driver for Enclosed Use (250 W, 4 Ω) - Titanium Sport Grille With appropriate system setup, the addition of a subwoofer allows your smaller main speakers to be free of the burden of reproducing low frequencies. 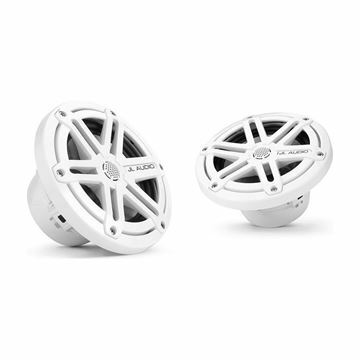 This allows your whole system to play louder and to sound cleaner at all listening levels. 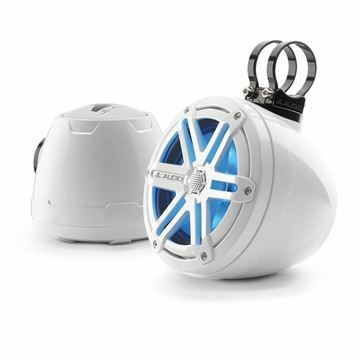 Purpose-engineered and built for real marine duty, the M10W5 subwoofers are designed to operate in a compact sealed enclosure. 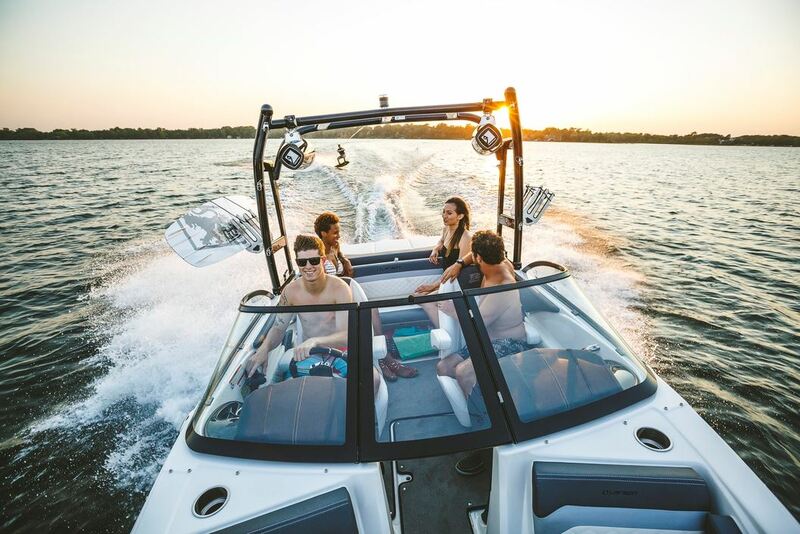 Long excursion capability and rugged suspension systems help produce deep, powerful bass response that will transform your boat's audio system. The M10W5 is best used with amplifier power in the 75W - 250W range and is optimized to operate in a compact 0.875 cu. ft. (24.8 l) sealed enclosure, or a 1.25 cu. ft. (35.4 l) ported enclosure. Detailed enclosure recommendations can be found in the "Specifications" tab. If you need a subwoofer driver that operates without a dedicated enclosure, select one of our Infinite Baffle Subwoofer Drivers instead. 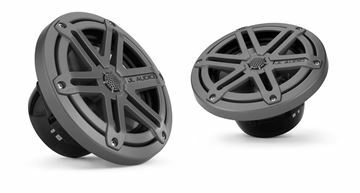 Like all JL Audio marine speakers, this driver is built to withstand a real saltwater marine environment and deliver years of listening enjoyment.